“The Imitation Game,” which opens on Dec. 25, 2014 and is rated “PG-13,” also stars Matthew Goode, Mark Strong, Rory Kinnear, Allen Leech, Matthew Beard and Charles Dance from director Morten Tyldum and writer Graham Moore based on the novel by Andrew Hodges. To win your free “The Imitation Game” passes courtesy of HollywoodChicago.com, just get interactive with our social media widget below. That’s it! This screening is on Thursday, Dec. 11, 2014 at 7 p.m. in downtown Chicago. The more social actions you complete, the more points you score and the higher yours odds of winning! Completing these social actions only increases your odds of winning; this doesn’t intensify your competition! Note: You can enter for this “The Imitation Game” Hookup even if you already have for our earlier “The Hobbit: The Battle of the Five Armies” Hookup, but you can’t win both as they’re on the same evening. During the winter of 1952, British authorities entered the home of mathematician, cryptanalyst and war hero Alan Turing (Benedict Cumberbatch) to investigate a reported burglary. They instead ended up arresting Turing himself on charges of “gross indecency” – an accusation that would lead to his devastating conviction for the criminal offense of homosexuality – but little did officials know they were actually incriminating the pioneer of modern-day computing. Famously leading a motley group of scholars, linguists, chess champions and intelligence officers, he was credited with cracking the so-called unbreakable codes of Germany’s World War II Enigma machine. An intense and haunting portrayal of a brilliant, complicated man, “The Imitation Game” follows a genius who under nail-biting pressure helped to shorten the war and, in turn, save thousands of lives. The movie poster for “The Imitation Game” starring Benedict Cumberbatch and Keira Knightley. This HollywoodChicago.com Hookup is simple! Just get interactive in our social media widget above. 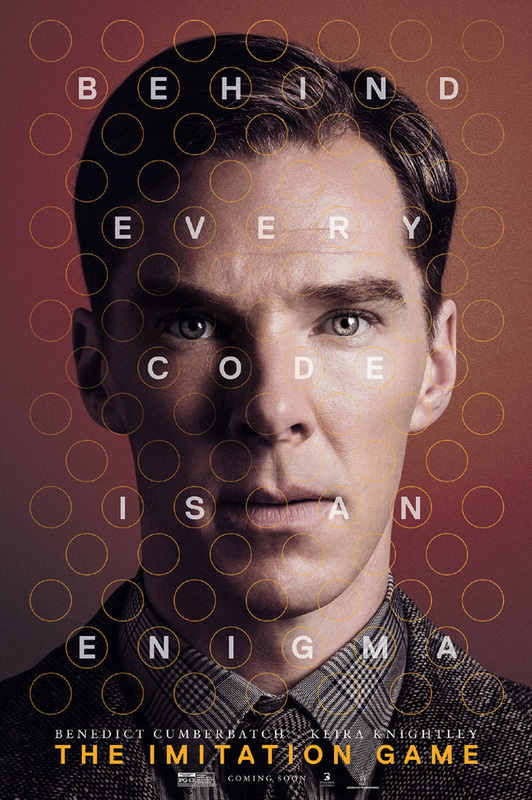 We will award 20 admit-two movie tickets based on social entry numbers and/or randomly via e-mail for our “The Imitation Game” Hookup. Good luck!